ริเริ่ม สร้างสรรค์ จุดประเด็นหรือหัวข้อที่น่าสนใจและเป็นประโยชน์หรือเพื่อแก้ปัญหาสำหรับภาคธุรกิจ จากการวิเคราะห์ข้อมูล หรือมองเห็น Insight บนพื้นฐานของ Information / Fact จากแหล่งต่างๆ. ออกแบบกระบวนการในการศึกษาและวิเคราะห์ เพื่อให้ได้มาซึ่งผลลัพธ์หรือบทสรุปที่จะเป็นประโยชน์สำหรับภาคธุรกิจในเชิงความรู้ การพัฒนาต่อยอด หรือทักษะ (ดำเนินการตามระเบียบวิธีการวิจัย). International awareness and language skills. Be able to utilize basic Data analysis program ex. MS. excel. 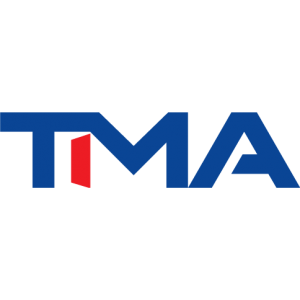 Thailand Management Association (TMA) is a professional body of executives and managers dedicated to promoting the management excellence of the Thai organizations, based in Bangkok. We are hiring a Senior Project Coordinator to be responsible for coordinating between all stakeholders. Your main priority is to ensure that all projects will be achieved in time. Our office offers a supportive & collaborative work environment and full of benefit packages. Assist to manage the project implementation activities within the scope of contract proposal. Manage and prepare a wide variety of correspondence, field report and documents for all administration and coordination tasks. Minimum 1-3 year experience in Project Management or closely related experience. Pleasant personality, organized, versatile, dynamic and able to multitask. Work under pressure with high responsibility and flexible working time. Coordinate with partnering organizations in the public and private sectors in the activities related to national competitiveness.